Easily build multimedia tests and online quizzes to measure learner success and course effectiveness then dig into detailed results. 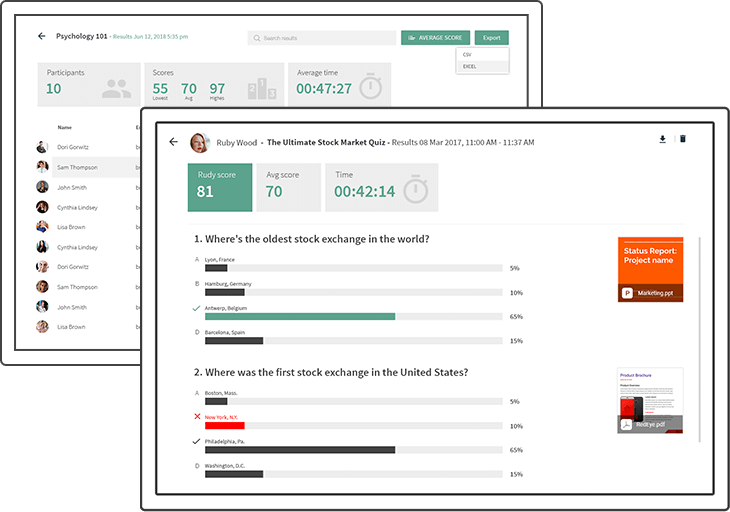 Build multimedia tests and quizzes in minutes then publish them in your on-demand courses and live sessions to get real results. Add files like videos and images to each question to enhance your quizzes. Track learner progress by analyzing aggregate and individual results. Measure learner understanding by adding quizzes to the on-demand courses. 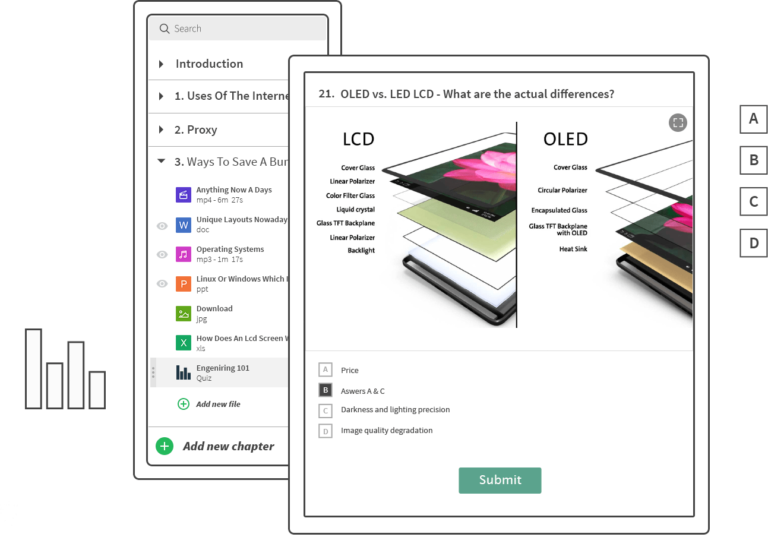 Add quizzes to each chapter to enable course participants to go through the quiz after they have finished reviewing the course content. Get detailed results that show session average scores as well as specific user scores from both on-demand and live quizzes. You can even export this data via Excel.